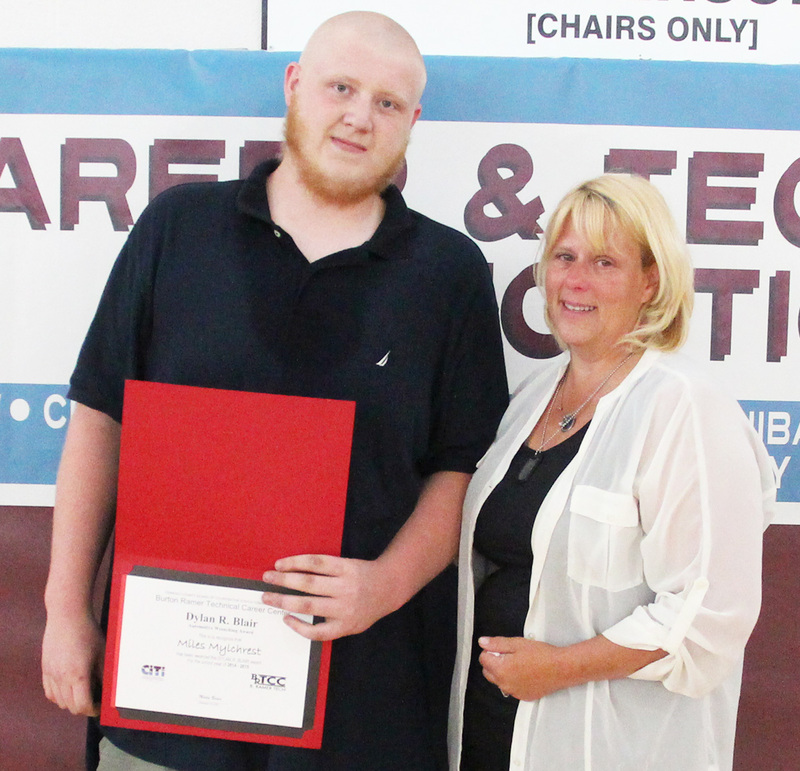 MEXICO – The Center for Instruction, Technology & Innovation recently held its annual Career and Technical Education awards ceremony to honor student achievement throughout the school year. The Dr. Burton Ramer Scholarship was awarded to CodiAnne Salzman, an Early Childhood Education student from Sandy Creek Central School District. 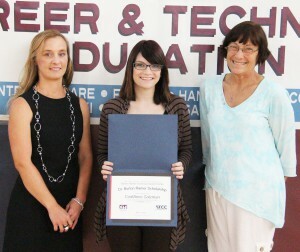 Pictured, Ramer’s daughter Deb Wines (right) and ECE teacher Melissa Nabinger (left) present Salzman with her award. During separate ceremonies for the morning and afternoon CTE sessions, students were recognized for a variety of achievements, including National Technical Honor Society status, industry certification milestones, perfect attendance, principal awards and several program-specific awards. Several scholarships were also presented, including the John A. Hort Scholarship, the Eileen Ponto Scholarship, the Dr. Burton Ramer Scholarship, the Spike Nolan Scholarship, the Oswego County School Facilities Association Scholarship and the Joshua and Jonathan Green Auto Tech Scholarship. Suzanne Viscome, mother of the late Dylan Blair, presents an award in her son’s memory to APW student Miles Mychreest. The first-ever Dylan R. Blair Automotive Wrenching Award was also presented to Altmar-Parish-Williamstown student Miles Mylchreest. The award is named in honor of Dylan Blair, who tragically lost his life last June, just days prior to his graduation from G. Ray Bodley High School in Fulton. The award is presented to a student that demonstrates a lifelong passion, dedication and dream to work in the automotive field.